Improves communication, which can lead to better patient compliance. Welch Allyn 23920 Digital MacroView Otoscope The Welch Allyn Digital MacroView Otoscope is a simple, affordable tool that lets you see, explain, and save digital images of the ear. Offering you clear live and still images of the ear canal and tympanic membrane, the Digital MacroView Otoscope is a valuable tool in support of the treatment and management of your patients’ ears. Offers you the ability to view small details of tubes and hearing aids See It. 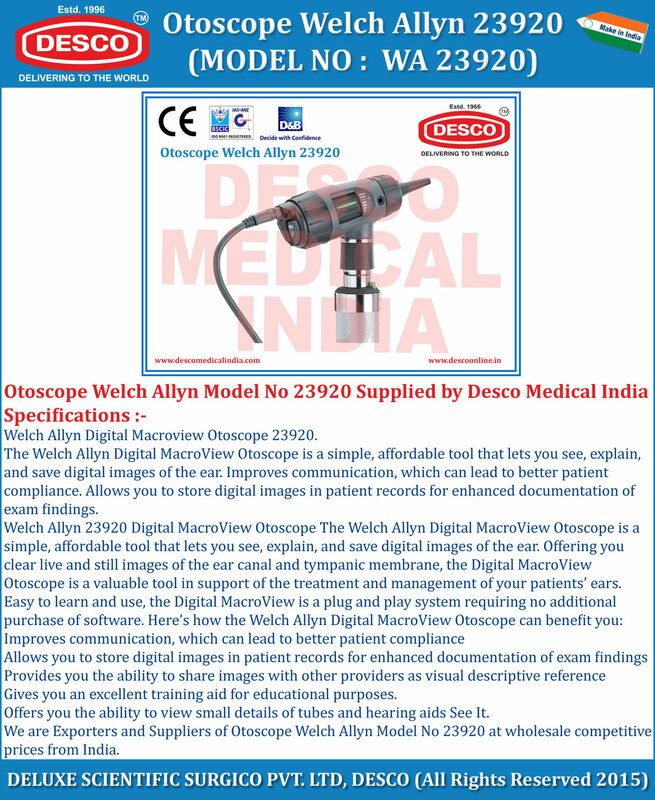 We are Exporters and Suppliers of Otoscope Welch Allyn Model No 23920 at wholesale competitive prices from India.